(Bridgewater, N.J., Jan. 18, 2017) - The Somerset Patriots have announced the signing of left-handed pitcher Rick Teasley for the 2017 season. Teasley enters his first season with the Somerset Patriots and first in the Atlantic League. 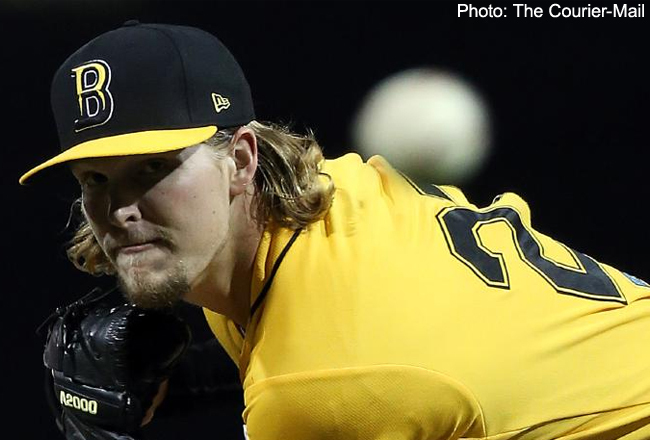 The southpaw has pitched for the Southern Illinois Miners of the Frontier League for the past three seasons, totaling a 28-14 record with a 3.67 ERA in 57 starts. The Port St. Lucie, Florida native went 8-5 over 17 starts and finished third in the league in complete games (three) with the Miners last year. Teasley’s best professional season came in 2015 with Southern Illinois, where the lefty went 9-4 over 20 starts with a 2.78 ERA. Additionally, he finished third in the league in innings pitched (126.1) and fourth in strikeouts (105) that season. Teasley led the Frontier League in wins (11) in 2014 along with a 3.57 ERA over 116.0 innings of work. In his three seasons with the Miners, Teasley became the franchise’s all-time leader in starts, innings pitched and shutouts. He also tossed the first no-hitter in team history on June 5th, 2014. The 25 year-old began his career in the Tampa Bay Rays organization, where he tossed a 2.61 ERA over 41.1 innings of work split between Rookie-level Princeton and Short-Season Hudson Valley. The 2013 23rd round pick of the Rays owns a career 36-22 record and a 3.54 ERA over four seasons of professional baseball.